June 16, 2014 – Ardbeg is releasing a special distillery-only bottling to support The Kildalton Project, which is part of a larger program aimed at helping communities across Scotland’s Northern Highlands. The North Highlands Initiative is supported by Prince Charles, and is working to help what it describes as “fragile, rural communities”, and funds raised from the sale of Ardbeg Kildalton will go to help build a new community center in nearby Port Ellen. 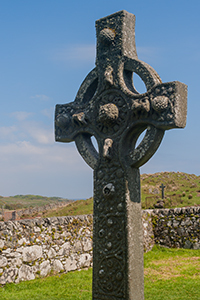 The whisky is named after Islay’s iconic Kildalton Cross, which is located near the distillery just a couple of miles east of Port Ellen. Dr. Bill Lumsden and his team at Glenmorangie created the whisky from a range of ex-Bourbon and ex-Sherry casks of varying ages. It is bottled at 46% ABV with no chill-filtering, and will be available exclusively at the distillery’s visitors center for £120 ($204 USD).